It’s that time of year, when pundits, news outlets, and TV shows look back on the year in review, when Facebook and Twitter feeds are filled with best-of lists. So why not jump on the bandwagon? 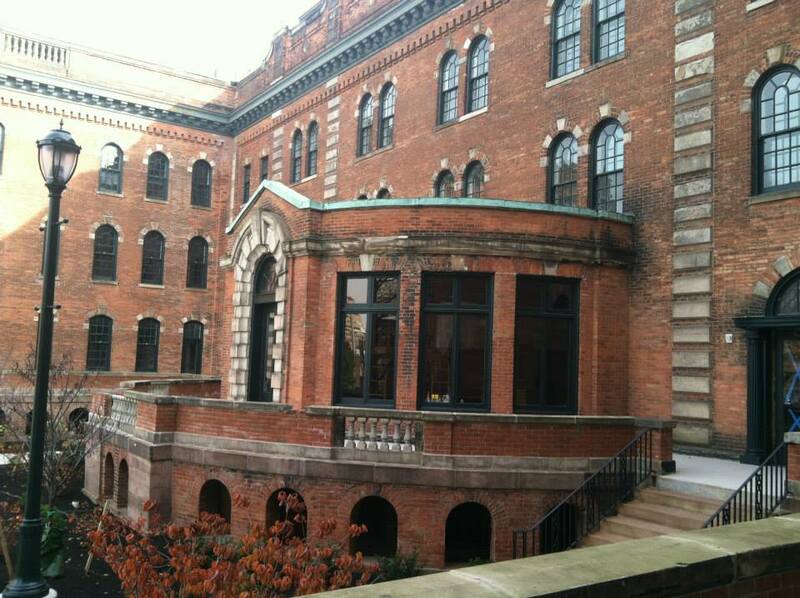 Here’s our look back at 2014 with a highlight of 14 preservation successes. 2014 saw many successes, as well as new challenges and opportunities. Thank you to everyone who supports our work; together we can make a difference in communities across WNY. Here’s to many more successes in 2015! For the first time ever, our annual Preservation Conference became a statewide event. This also marked the first time New York state has seen a statewide preservation conference in well over a dozen years. Over 230 (a record-setting number) preservation colleagues and community advocates joined us in Rochester’s East End for three days of inspirational stories, calls to action, and networking. In March, a group of passionate young preservationists launched our new affiliate group, the Young Urban Preservationists, or YUPs for short. Whether it was a happy hour, our first annual Bikes, Beer & Buildings scavenger hunt, the re-opening of St. Joseph’s Park, or roasting marshmallows at. St. Joseph’s during Inside Downtown, we’ve been so excited to see so many youngish folks interested in preservation. Follow the YUPs on Facebook and Instagram, sign up for the YUP e-newsletter, or contact Caitlin to learn how you can get involved. 3. WHERE THE #&@% AM I? No, we didn’t have too much eggnog over the Christmas holiday. WHERE THE #&@% AM I? 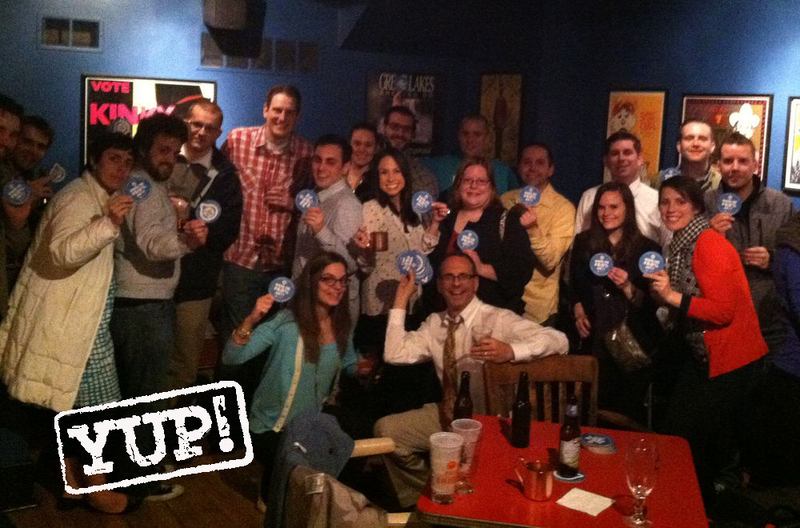 is a new coaster program we launched, along with the YUPs, this year. You scan the QR code on the back of the coaster and learn some interesting and titillating (sometimes apocryphal) tidbits about your favorite watering hole (which just so happens to be in a historic building). It’s currently been released in a few select locations in and around Rochester: Abilene Bar & Lounge; 2Vine; Black Button; Edibles; and the American Hotel in Lima (home to the largest urinal in the U.S.). Visit where.landmarksociety.org to learn more. 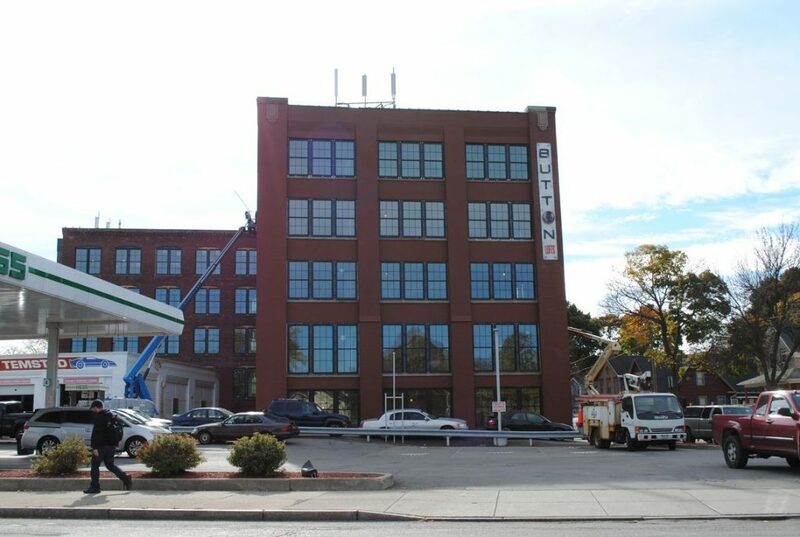 Some of the best (and most overdue) news of 2014–one of our 2013 Five to Revive properties, the Eastman Dental Dispensary on E. Main St. in Rochester, will be rehabbed by Home Leasing LLC into senior apartments. 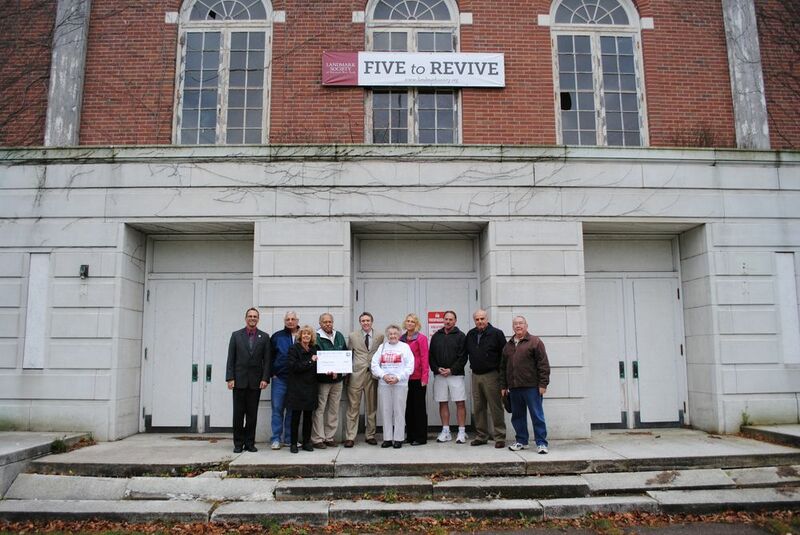 Inclusion on our Five to Revive list was critical in securing a $3.5 million NYS grant. We don’t take a lot of selfies but our staff does spend a lot of time on the road, visiting communities across the region, and getting inside some pretty amazing historic buildings. 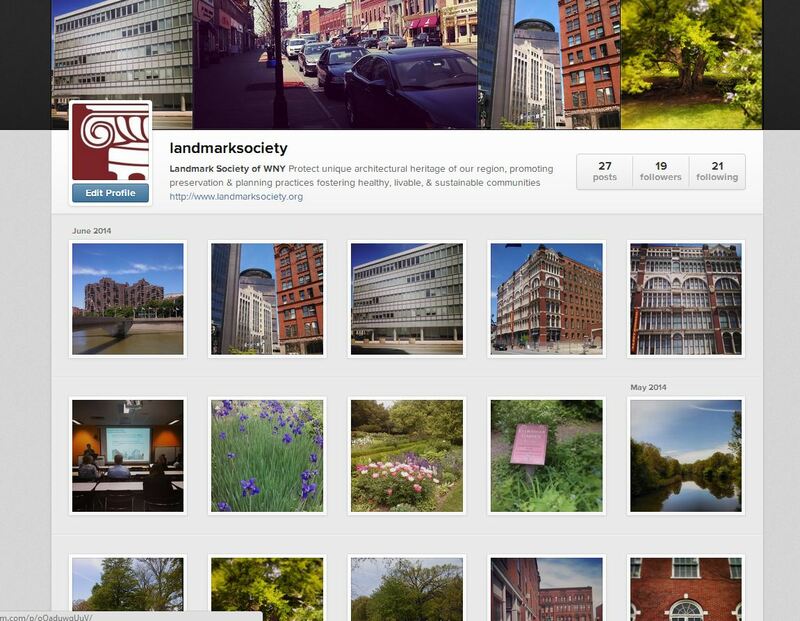 Now you can join us in our travels…Follow @landmarksociety. The Highland Park neighborhood welcomed us and about 2,000 of our closest friends into their homes in June. Tourgoers got a taste of some of the best that city living has to offer–active and engaged neighbors; verdant gardens; an Olmsted-designed park right in your backyard; easy access to dining and shopping on South Ave; and, of course, unique architecture. It was billed as “A View from the Top” and that was certainly the case! 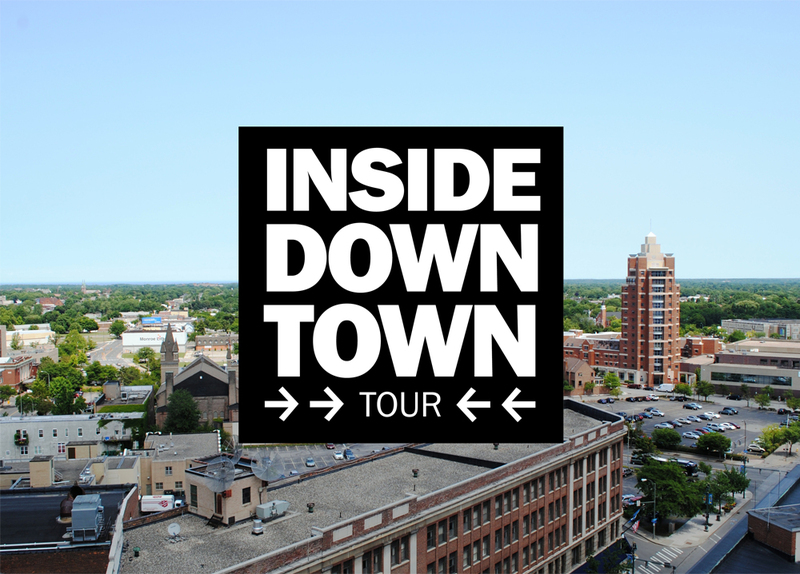 From the incredible attendance to the incredible views, the 14th annual Inside Downtown Tour was up there with the best of them. Attendees enjoyed an inside look at loft apartments and other great spaces in the Main and East area, not to mention a sneak peak of the great rehabilitation taking place in the Sibley building. In partnership with Green Zebra Catering, we offered the first ever farm to table Harvest Dinner at Stone-Tolan. 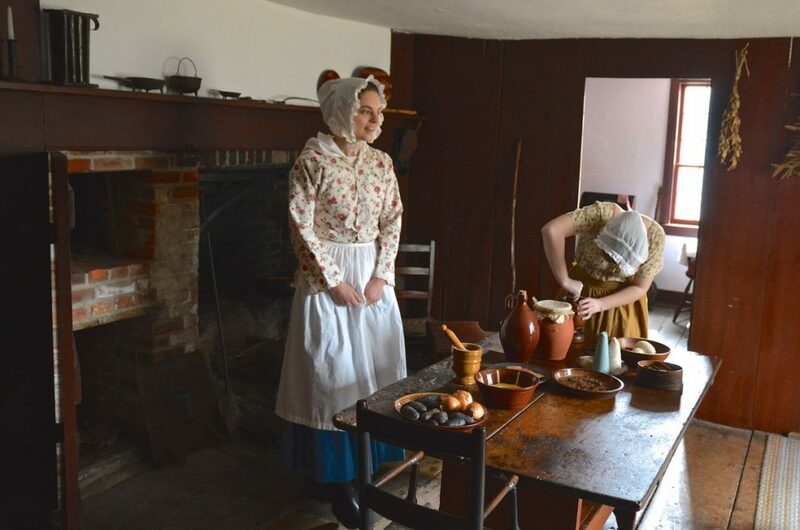 Earlier in the year, in honor of Brighton’s bicentennial, we partnered with Historic Brighton and the Town of Brighton to re-enact the first town meeting, which took place at the Stone-Tolan house. 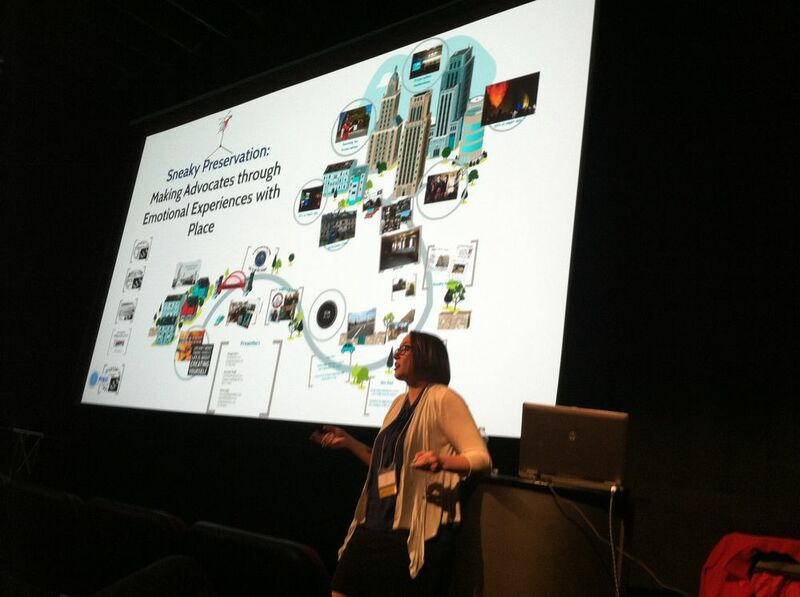 Our very own preservation planner made her (reluctant) acting debut at this event! 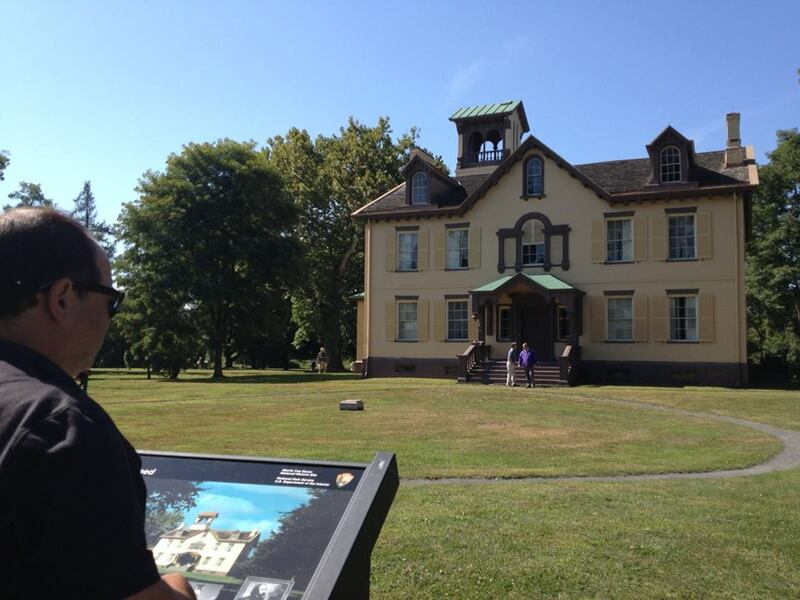 Stay tuned for more new opportunities to experience Monroe County’s oldest home in 2015! 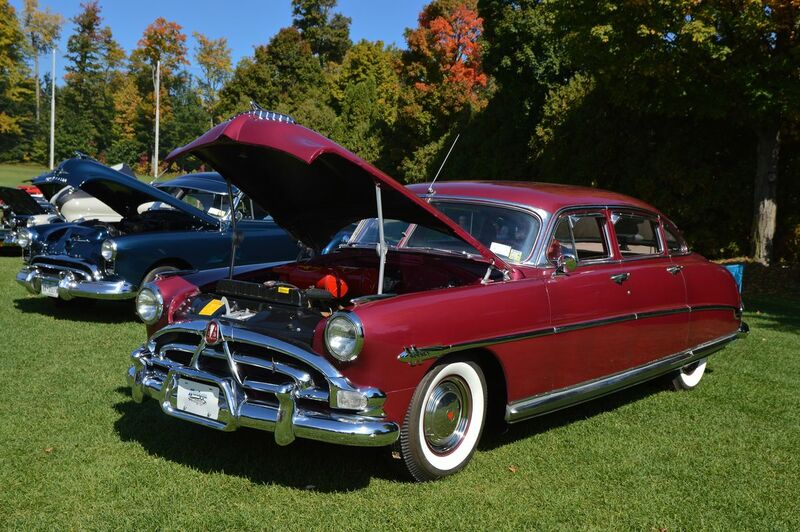 Tourgoers at this special event got a look inside exclusive historic garages and automobiles. Perhaps the most rewarding part of the work we do at The Landmark Society is attending the ribbon cuttings once rehab projects have been completed. These projects are years, often decades, in the making and represent the culmination of years of hard work, vision, and a significant financial investment. 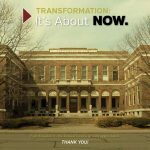 The resurgence of downtown Rochester and its surrounding city neighborhoods simply would not be possible without preservation and the adaptive reuse of historic buildings. 2014 saw the completion and beginning of lots of exciting projects. To name just a few: 300 Alexander, Button Lofts, Cunningham Carriage Factory, Hart’s Local Grocers, as well as ongoing work on the Clarendon Stone Store (Orleans County), Edge of the Wedge, the Hilton Garden Inn, the Sibley Building, and the Bevier Building. The YUPs marked the official re-opening of St. Joseph’s Park in downtown Rochester this summer with the Open the Gates event. Despite a massive downpour and thunderstorm early in the evening, the crowds came out in force once the storm passed. We have been thrilled with the interest and support for this unique urban park and hope to continue this success next spring and summer. 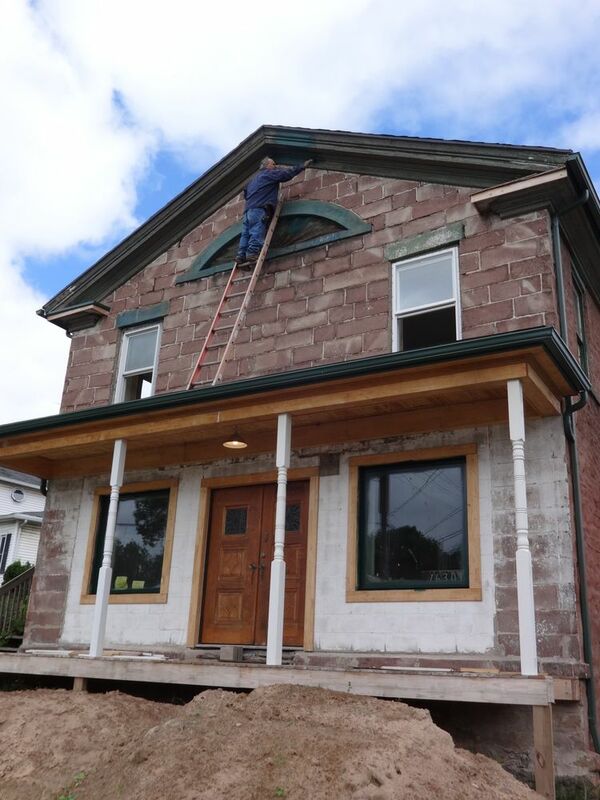 With assistance from Landmark staff, the Village of Holley successfully completed a grant application to the Preservation League of New York State’s, Preserve New York grant program. This grant will help fund the completion of a National Register of Historic Places district nomination for downtown Holley. 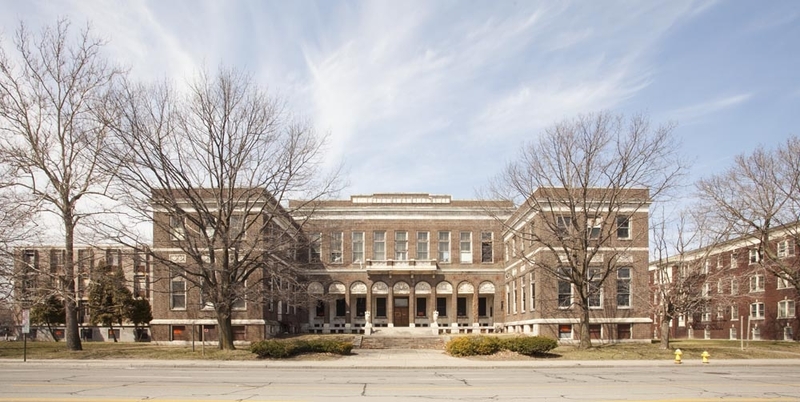 Once the paperwork is complete, properties within the historic district–including our 2013 Five to Revive, the Holley High School–will be eligible for state and federal rehab tax credits, a key revitalization tool. Our Travel Tour season completed another successful run with trips to Buffalo and the Hudson Valley. Last but definitely not least, our members and supporters. Whether you attended the House & Garden Tour, donated to the Annual Fund, sponsored one of our many events, donated to the Jubilee Silent Auction, journeyed with us to the Hudson Valley on our Travel Tour, volunteered at an event, opened your home to us, or simply renewed your membership, your support was the most important success of the year. THANK YOU! You can continue to support our work across the region by making a contribution to our 2014 Annual Fund. 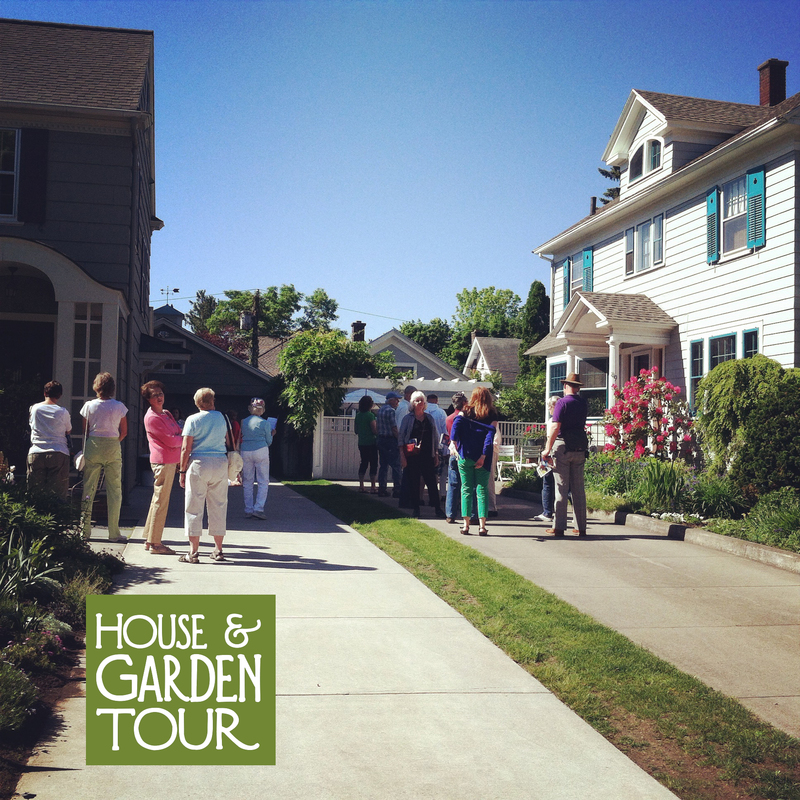 This entry was posted in Success Story, Updates and tagged #insidedowntown, #NYPresConf, #yupROC, downtown Rochester, Five to Revive, House and Garden Tour, Inside Downtown Tour, Preservation Conference, St. Joseph's Park, Tax Credit, Young Urban Preservationists by Caitlin Meives. Bookmark the permalink. 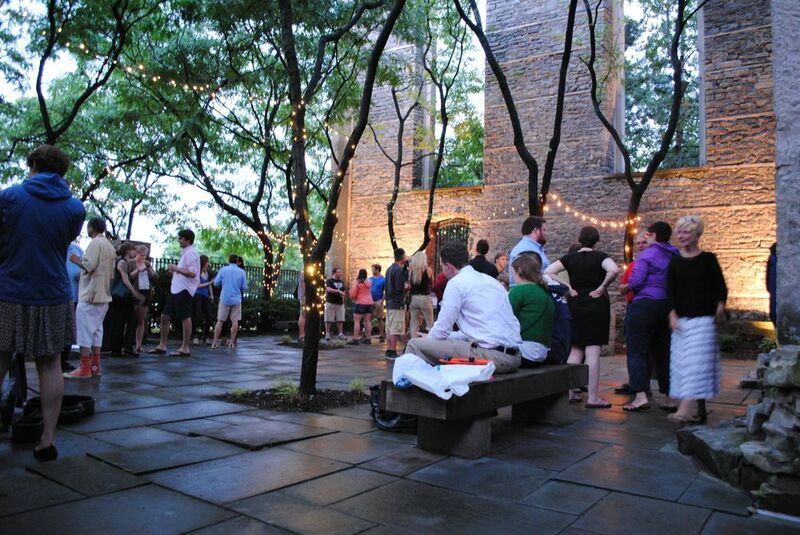 Congratulations on a terrific 2014 Landmark Society! Success at home, significance state-wide.